Kura Chiropractic offers relief from these conditions and many more. Treatment to strengthen the musculoskeletal system, reduce discomfort & pain, reduce inflammation, and promote healing. Proactive & preventive care to prevent re-injury, improve performance and quality of life. 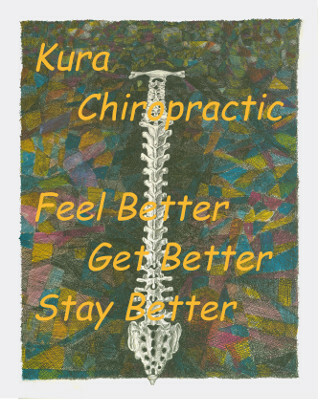 Sports chiropractor, Dr. Douglas Fredman, describes what Kura Chiropractic is all about. Several patients tell of the care they received, and the benefits of chiropractic treatment at Kura Chiropractic. Dr. Douglas Fredman has been practicing chiropractic in New York for his entire career. He is also an accomplished sports chiropractor, and is trained in Kinesio Taping methods. As a licensed chiropractor, Dr. Fredman is committed to providing pain relief and recovery, without the unnecessary use of drugs and pain relievers. He treats a variety of symptoms and conditions in a manner that will restore a higher quality of life, using the bodies own restorative abilities. Many people prefer to have clear thinking and better physical well-being by avoiding chronic ingestion of chemicals. You can visit our testimonials page to see what our patients have to say. Kura Chiropractic was established in 2004 in downtown New York City, specializing in chiropractic care, sports medicine, and wellness. We've moved several times over the years. Originally on Broad St,, and later on Broadway and Dey St. we moved to our Fulton St. office in 2017. We've expanded our services beyond chiropractic and sports medicine to include therapeutic massage, acupuncture, physical therapy, nutritional counselling, and men's health. Find the link to member wellness in the footer at the bottom of this page. Our bi-weekly newsletter offers free wellness and health articles. Subscribe to receive it. You can ask us a question or to send us feedback by clicking on the "email us" link below. You can share our health information with your friends by using the "send to friend" link. Convenient to MTA & Path? We handle the form submission & accept consignment just like any other medical office. Will show you what parts of your body are affected by the various sections of your spine. "Thanks to your treatments and exercise protocols, this 70 year old body was successful in my recent tennis tournaments, international and local."